Coronilla varia. Meredith Cosgrove. plantsystematics.org. (Accessed 5/2014). 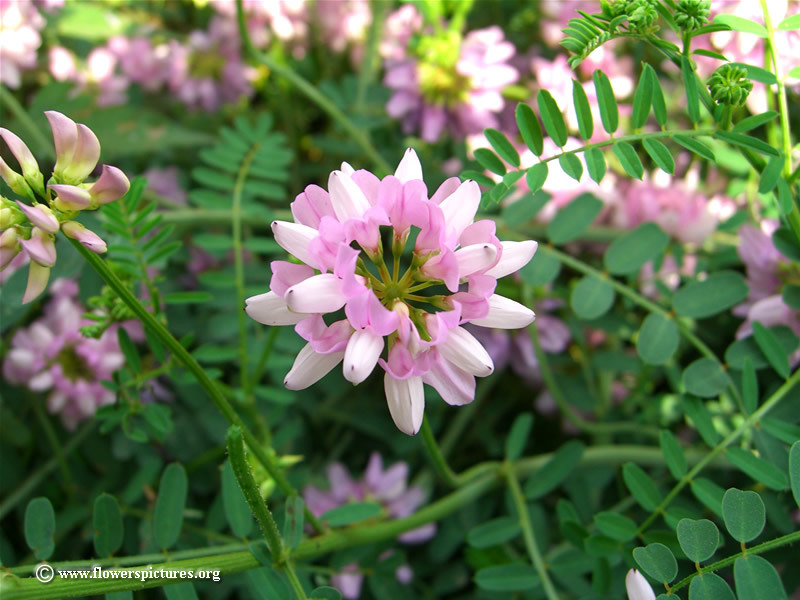 Coronilla varia is a perennial, vining, sprawling ground cover 3-10 m long, stems finely but strongly ribbed, branched. Leaves alternate, pinnate, 6-15 cm, leaflets 11-25, oblong, 1-2 cm long, nearly sessile, dull, dark green, oblong, tip rounded to notched, base rounded. Coronilla varia (crown vetch) inflorescence. Copyright © 2010 www.flowerspictures.org (Accessed 1/2018). Flowers pink and white, bilaterally symmetric, pea-flower-shaped, ca 1 cm long, in dense radiating, crown-shaped clusters of 10-20 on long axillary stalks, June-Sept.
Fruit dry, a pod 2-6 cm, linear, 4-angled with 3-7 joints. Habitat: open, upland areas, on fill. 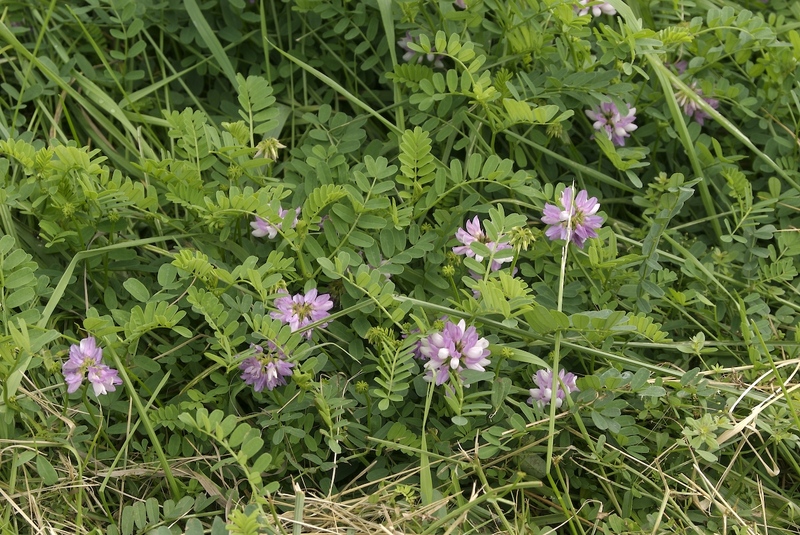 Notes: An exotic pest, introduced to hold soil on roadside banks. Displaces native species, may retard succession. Listed as one of the “top twenty” invasive alien plants by the NYS Natural Heritage Program’s Ad hoc committee on invasive plants (Young 1996).